To better address the questions, and myths, surrounding hepatitis C, we interviewed Denny Simon, Managing Partner of Help-4-Hep, a toll-free support line for anyone looking for information about hepatitis C. If you are interested in learning more about Help-4-Hep, or hepatitis C, check-out our interview with Denny below! Why do people call Help-4-Hep? “Since the introduction of direct acting anti-viral (DAA) medications, linkage-to-care and financial assistance have become the more prevalent reasons that people call H4H. 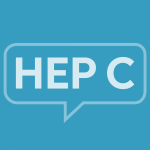 People call Help-4-Hep seeking assistance in all stages of hepatitis C, including screening, diagnosis, medical evaluation, payment assistance, and treatment. What role does Help-4-Hep play? “Many of the 3.5 to 4 million people who are infected with hepatitis C don’t know that they are infected. Additionally, many people with hepatitis C feel socially isolated. Through interaction with Help-4-Hep’s peer counselors, patients can make informed health decisions and access other important health services. Will Help-4-Hep follow-up with me? Can I call back? “Linkage to care is a vital component of the Help-4-Hep’s work. Before the end of every call, your counselor will offer to arrange a call-back to follow-up on any action plans. Help-4-Hep will also send materials by mail or email, and make referrals as needed. If you have or think you may have been exposed to hepatitis C, or someone near or dear to you is in that situation, or you just have questions about hepatitis C, call Help-4-Hep at 877.435.7443. The call is free, the help is free!